Good web design is crucial to the success of your online side of business. Perhaps you are getting consistent website traffic but are having a hard time turning your online visitors into customers. If this is the case, the problem could be your bounce rate. What is bounce rate, anyway? In the online realm, the bounce rate is defined as the rate by which website visitors “bounce off” your site, meaning they leave before converting. In layman’s term, online visitors are not successfully converted into clients or customers because they tend to “bounce off” or leave the site. Why do visitors leave your website without converting into customers? This is a question that isn’t as easy to answer. The truth is that there could be one reason or there could be quite a number. Perhaps you don’t offer the product that they’re looking for. Maybe your website is terribly difficult for online visitors to navigate from one page to another. Simple web design will work best for your site. It’s best to go ahead and de clutter your website by truncating unnecessary images, getting rid of plugins that you don’t use, simplifying your website code, and using a web host that comes with excellent speeds, features and support. Check out our web maintenance information to see the services available for your website. You may also want to ensure that your site has visual hierarchy through the use of bold fonts, large text sizes, and bright colours. This visual hierarchy will make your website look simplified and organized. Also, you make use of colours that aren’t distracting and will allow you to read the texts and see the images clearly. When it comes to fonts, it’s best to stick with sans serif options such as Arial and Helvetica so that text is easier to read. By de cluttering your website, your loading time will be greatly improved. Moreover, your visitors will not be left waiting and getting annoyed. It’s important to optimize your site well to ensure easy navigation. Optimizing your site will allow your online visitors to navigate from your homepage to other pages with ease. You can add conversion buttons with clear calls-to-action as well such as ‘add to cart’, ‘shop now’, ‘sign up now’, ‘click here to subscribe’, and ‘contact us’. These CTAs will allow your online visitors to know what to do next. Furthermore, making your site’s layout responsive to your visitor’s device will help boost your bounce rate. Some online visitors will be using desktop devices, while others will be making use of mobile devices as they browse. If your site is not responsive and your viewers find it difficult to find the information they’re looking for, you will miss your chance of converting one potential customer. Another thing to remember to do when creating your website is to include the following: FAQ, contact page, testimonial/review page, and a blog. Why? An FAQ will make it easier to answer your visitor’s questions that are related to the product or service you are offering. You don’t want your visitors to be navigating from one page to another while trying to look for an answer. Also, when it comes to endorsing the product or service that you offer, providing a page for testimonials or reviews will establish your credibility and even help you to convert your visitors into customers. A blog may not seem necessary at all. However, you might want to consider including it on your website. This is because not only do frequent blog posts improve your SEO efforts, but they do also provide value to your site, thereby improving your bounce rate. Lastly, adding a contact page on your website is very important. When visitors find something that they’re looking for in your website, you don’t want to miss the chance of converting them into customers just because they don’t know to reach out to you. Finally, the use of infographics and eye-catching images can be incredibly helpful in boosting your bounce rate. Infographics are simplified or summarized images of important information presented as a picture, not as mere text. Sometimes, long blocks of text can be difficult for most online visitors to read when they are looking for an answer to a simple question. Compelling infographics will help them find what they are searching for, especially when all they do is skim through your website. Eye-catching images, unlike text, will make your site look refreshing and engaging. People are naturally visual and seeing images will further entice them to avail of the products or services that you’re endorsing on your website. 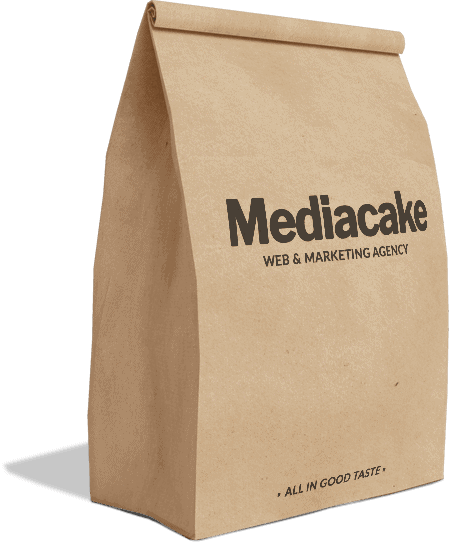 Mediacake is a web design agency in Bangkok that specialises in modern, effective and user centric website design practices. Get in touch today for a free consultation.